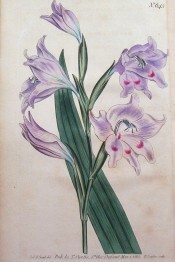 Gladiolus carneus var. blandus x Gladiolus carneus hybrid. This hybrid was originally identified as ‘late flesh coloured’. 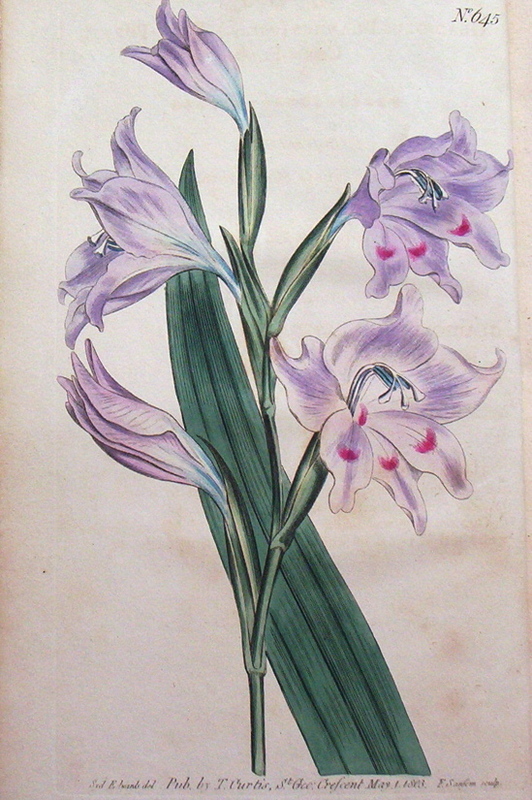 Two materially different strains of Gladiolus carneus were presumably used. No description is extant although this plant must have looked very look the figure given here. Not listed in any catalogues. The seeds of many hybrids, including this plant, were sent to Herbert at the same time as the bulbs in 1844. These plants are not detailed in Macarthur’s notebooks or elsewhere. See the individual entries for species gladioli and early hybrids for details of parent plants. [MP A2948-3].